Werner's Cairns blog: Why our drinking water shouldn’t be poisoned with fluoride. 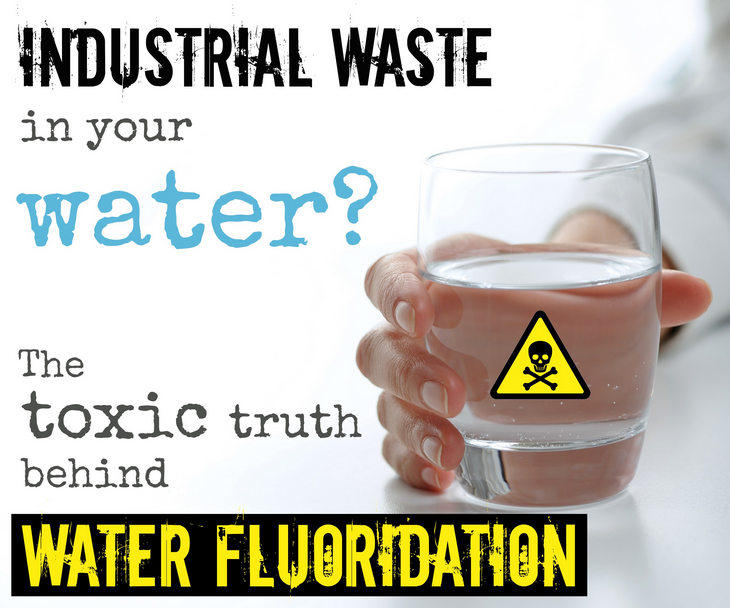 Why our drinking water shouldn’t be poisoned with fluoride. There are better, and cheaper ways of protecting our teeth than water fluoridation. Vested interests that may have financial benefits are pushing the introduction of water fluoridation in Cairns again to mass medicate the whole population just because of a few young people who drink coca cola and other sugary drinks, and don’t practice proper dental care. What many, if not all of the proponents of this insidious practice don’t know or want you to know is that Magnesium is an important mineral for the body and is needed to make the nutrients available to our body. Iodine is also a vital nutrient that is needed for proper thyroid function. Fluoride binds to both magnesium and iodine in the body, and thus deprives our body of nutrients important for our health. And we are wondering why we have so many sick people. 2. "Here in Toronto we've been fluoridating for 36 years. Yet Vancouver - which has never fluoridated - has a cavity rate lower than Toronto's." --Dr. Hardy Limeback, B.Sc., Ph.D., in Biochemistry, D.D.S., head of the Department of Preventive Dentistry for the University of Toronto, and president of the Canadian Association for Dental Research. Fluoridation Facts You May Not Know. (1). 98% Of Western Europe Has Rejected Water Fluoridation. This includes Austria, Belgium, Denmark, Finland, France, Germany, Italy, Luxembourg, Netherlands, Norway, and Sweden. The predominant reason for Europe's rejection is the belief that public drinking water is NOT the appropriate vehicle with which to deliver medication to a population. (2). Fluoride Is Not An Essential Nutrient, which means that no human disease (including dental decay) has ever been linked to a fluoride deficiency. (3). The fluoride used to fluoridate water is an industrial waste product from the phosphate fertilizer industry. It is an unprocessed hazardous waste, contaminated with a number of toxins, particularly arsenic. (4). Fluoridation adds between 0.1 and 1.6 parts per billion (ppb) Arsenic to drinking water, and therefore violates the EPA's Maximum Contaminant Level Goal for arsenic - which is 0 ppb. Hydrofluorosilicic acid & sodium silicofluoride are the chemicals used, to fluoridate 91% of fluoridated water in the US. They have Never Been Tested for safety and effectiveness. (5). According to a November 16, 2000 letter from the EPA: "to answer your question on whether we have in our possession empirical scientific data on the effects of fluosilicic acid or sodium silicofluoride on health and behavior, the answer is no." (6). Most dental authorities are now conceding that there is little, if any, benefit from swallowing fluoride, and that fluoride's benefits (whatever they are) come from topical application. (7). When water fluoridation began 50 years ago, it was believed that fluoride needed to be ingested in order to be effective. This is NO longer the view of the dental establishment, which now generally concedes that fluoride's benefits are derived primarily from topical application. (8). According to the US Centers for Disease Control & Prevention,"Laboratory and epidemiologic research suggests that fluoride prevents dental caries predominately after eruption of the tooth into the mouth, and its actions primarily are topical for both adults and children." (9). All fluoride products designed to be ingested (e.g. fluoride supplements) are available by prescription only. No fluoride products designed for ingestion have ever been approved as safe or effective by the US Food & Drug Administration. (By Logical Extension Fluoridated Water Can Appropriately Be Classified As An Unapproved Prescription Drug). (10). The dental community concedes that fluoride is ineffective at preventing the most common type of dental decay - Pit & fissure decay - which is the decay found in the crevices of the chewing surfaces - accounts for upwards of 85% of dental decay now experienced in the US. (This suggests that fluoridation is either unnecessary or doesn't work). (11). Cavities have declined at similarly impressive rates throughout the entire western, industrialized world over the past half century. This decline has occurred irrespective of a country's fluoridation status. Western Europe, which is 98% unfluoridated, has experienced the SAME decline in cavities as the heavily fluoridated US, and today enjoys the SAME low level of tooth decay. (12). The largest dental survey ever conducted in the US found virtually no difference in dental decay between children living in fluoridated vs. unfluoridated areas. The study, which was conducted by the National Institute Of Dental Research (NIDR), found that the average difference in tooth decay (0.6 tooth surfaces) between children living in fluoridated vs unfluoridated areas amounted to LESS than 0.5% of the 128 total tooth surfaces in a12-year-old child's mouth. (13). Five recently published peer-reviewed studies have found that dental decay DOES NOT increase when communities stop fluoridation. (14). The rhetoric supporting fluoridation is increasingly centered around the notion that fluoridation benefits the neediest in society the most.This claim flies in the face of the experience of most US inner cities over the past 50 years. Despite the fact that nearly all large US cities have been fluoridated for decades, dental decay is currently rampant in virtually all poor urban areas. (15). One of the major dental health problems experienced in poor communities is a debilitating condition known as "baby bottle tooth decay" which is also referred to as "early childhood caries." This condition, which results from excessive consumption of sweetened liquids at a young age, is not prevented by water fluoridation. According to a study in Pediatric Nursing "Data from Head Start surveys show the prevalence of baby bottle tooth decay is about three times the national average among poor urban children, even in communities with a fluoridated water supply." (16). Fluoride Is A Very Toxic Substance, which is why it is the active ingredient in a number of pesticides. Just 2 grams of fluoride is enough to kill an adult, and just 500 mg is enough to kill a child. In the US, people have died, and many have become sick, when faltering fluoridation equipment has pumped excess fluoride into the water. (17). Poor nutrition exacerbates the toxic effects of fluoride exposure, which is a further reason why it's wrong to target poor communities with fluoridation (as poor nutrition is more prevalent in low income communities). (18). According to the Agency for Toxic Substances and Disease Registry, "Existing data indicate that subsets of the population may be unusually susceptible to the toxic effects of fluoride and its compounds. These populations include the elderly, people with deficiencies of calcium, magnesium and/or vitamin C and people with cardiovascular and kidney problems." (19). Contaminated Food Chain - Many of the processed beverages and foods sold in the US contain elevated levels of fluoride due to the use of fluoridated water during manufacturing, and the presence of fluoride pesticides. (20). Total fluoride exposure has increased substantially since the early days of fluoridation. When fluoridation first began, exposure to fluoride from sources other than fluoridated water, was minimal. Today that is not the case. People now receive fluoride from a whole host of sources, including pesticide residues, fluoridated dental products, mechanically deboned meat, fluoride air pollution, and processed foods & beverages prepared with fluoridated water (e.g. soda, juice, beer, cereal, etc). (21). It has now reached the point where most people receive the "optimal" 1 mg/day of fluoride (which fluoridated water was designed to deliver) without ever drinking a glass of fluoridated water. (22). Despite the increase in total fluoride exposure, the concentration of fluoride added to drinking water (0.7-1.2 mg/L) as prescribed by the US Government, is still the same as it was back in the 1940s. Due to the increase in total fluoride exposure, there has been a major increase in the rate of dental fluorosis found among American children. According to the US Government, approximately 1 in 3 children living in fluoridated areas have dental fluorosis on at least 2 teeth. (23). Dental fluorosis is the first visible sign that fluoride has poisoned enzymes in the body. (24). Approximately half of the fluoride we ingest each day accumulates in our bodies, primarily in the bones, but also in soft tissues. High levels of naturally occurring fluoride causes a crippling bone disease known as skeletal fluorosis. According to UNICEF, skeletal fluorosis is endemic "in at least 25 countries across the globe" with the problem particularly acute in India, China and other developing countries. (25). Skeletal fluorosis comes in varying degrees of severity depending on the level of exposure. The earliest symptoms are characterized by joint pain that is difficult, if not impossible, to distinguish from arthritis. According to a review on fluoridation by Chemical & Engineering News: "Because some of the clinical symptoms mimic arthritis, the first two clinical phases of skeletal fluorosis could be easily misdiagnosed [as arthritis]." The World Health Organization states that "early cases [of skeletal fluorosis] may be misdiagnosed as rheumatoid or osteoarthritis." (26). It is estimated that approximately 40 million Americans suffer from arthritis, the most common type being osteoarthritis. (27). Fluoride stimulates abnormal bone development. Clinical trials published in the New England Journal of Medicine and Journal of Bone and Mineral Research report that high dose fluoride treatment increases bone mass but that the newly formed bone is "structurally unsound". Thus, instead of reducing hip fracture, the studies found that high doses of fluoride increase hip fracture. (28). There is concern that "low" doses of fluoride, taken over long periods of time (e.g. fluoridated water), may also increase the rate of hip fracture. Approximately 20 recent studies have investigated the relationship between fluoridated water and hip fracture, with approximately half of the studies finding an association. (29). A 1995 study in the journal Neurtoxicology and Teratology, found that fluoride accumulated in the brain of rats and produced age-specific behavioral deficits typical of most neurotoxic agents. In the study, fluoride induced damage to the hippocampal region of the brain. Damage to the hippocampal region has been linked to hyperactivity and cognitive deficits. Based on the results, the lead author of the study, Dr. Phyllis Mullenix, has come out and advised against water fluoridation. (30). Twenty recent peer reviewed studies from China have found an association between elevated fluoride exposure and decreased IQs in children - an effect that would be expected based on Mullenix's research. (31). In the late 1990s, a British scientist discovered that fluoride accumulates to very high levels (avg = 9000 ppm) in the crystallized tissue of the human pineal gland. A subsequent animal study found that fluoride interferes with the pineal gland's production of melatonin, a hormone which helps regulate the onset of PUBERTY. In the study, animals dosed with fluoride had reduced levels of melatonin metabolites in their urine and had earlier onsets of puberty than the controls. (32). Up until the 1950s, European doctors used fluoride to reduce the activity of the thyroid gland for people suffering from overactive thyroid (hyperthyroidism).The daily dose of fluoride which people are now receiving in fluoridated communities (1.6 to 6.6 mg/day) actually exceeds the dose of fluoride which was found to depress the thyroid gland (2.3 to 4.5 mg/day). (33). Hypothyroidism (under-active thyroid) is currently one of the most common medical problems in the United States. Synthroid, the drug doctors prescribe to treat hypothyroidism, was the fourth most prescribed drug in the US in the year 2000. Symptoms of hypothyroidism include depression, fatigue, weight gain, muscle and joint pains, increased cholesterol levels, and heart disease. (34). A recent study published in the journal Brain Research found that 1 PPM fluoride in water facilitated the uptake of aluminum into the brain of rats, producing the type of brain tangles (amyloid deposits) that are associated with Alzheimers disease and other types of dementia. (35). An epidemiological study published in the December 2000 issue of the journal Neurotoxicology, found that fluoridated water was associated with elevated levels of lead in children's blood. The study's findings parallel the findings of an earlier study published in the September 1999 issue of the International Journal of Environmental Studies. Lead in the blood is associated with a variety of neurological problems, including reduced intelligence, aggression and hyperactivity. (36). Dozens of laboratory studies have found that fluoride is a mutagen. - (A classification which frequently indicates that a substance is carcinogenic -i.e. that it causes cancer). A cancer bioassay conducted by the National Toxicology Program found that rats dosed with fluoride had a statistically significant increase in bone tumors (osteosarcomas), which were not found among the controls. The initial review of the study also reported that the fluoride-dosed rats had tumors of the thyroid, oral cavity and rare tumors of the liver; however these tumors were later downgraded under conspicuous and controversial circumstances. According to Dr. William Marcus, the Chief Toxicologist at the EPA's Office of Drinking Water, the downgrading of the tumors was politically motivated and not scientifically defensible. (37). A recent epidemiological study conducted by a scientist from the US Public Health Service found that female infertility was associated with elevated levels of fluoride ( >3ppm) in drinking water. The study concluded that more emphasis needs to be given to the effects on health from total fluoride exposure - not just exposure to fluoridated drinking water. (38). In light of the recent research indicating health risks from low level fluoride exposure, the Union of Scientists and professionals at EPA headquarters has voted to oppose fluoridation and has called upon the US Congress to issue a "national moratorium" on the fifty year old policy. - According to the Vice President of the Union, Dr. J. William Hirzy: - "In summary, we hold that fluoridation is an unreasonable risk. That is, the toxicity of fluoride is so great and the purported benefits associated with it are so small - if there are any at all - that requiring every man, woman and child in America to ingest it borders on criminal behavior on the part of governments." (39). After years of overlooking the problems with fluoride & fluoridation, the environmental community is finally beginning to address the issue. In September of 2001, the Sierra Club announced that: "There are now valid concerns regarding the potential adverse impact of fluoridation on the environment, wildlife, and human health. The Sierra Club therefore supports giving communities the option of rejecting mandatory fluoridation of their water supplies. To protect sensitive populations, and because safer strategies and methods for preventing tooth decay are now available, we recommend that these safer alternatives be made available and promoted." Here are more links for your elucidation. 2. Professional Perspectives. Video. Featuring three panellists from the National Research Council’s landmark report on fluoride; the 2000 Nobel Prize Winner in Medicine/Physiology; and other leading professionals. "Fluoridation is the greatest case of scientific fraud of this century, if not of all time." -- Robert Carton, Ph.D. former US EPA scientist. This is a really great and easy to read posting. Thank you Werner for posting this information. Needs also be posted to F/book I reckon. Thank you, Werner, for this very interesting and enlightening posting. I am at loss why our council is so blind in putting this industrial poison in our drinking water. As you said, “just because of a few stupid parents and young people who drink now water and drink sugary drink. That fluoride binds magnesium and Iodine is something I didn’t know, this makes me now more opposed to water fluoridation. Yes, I can see now that this would be a big factor why we have so many sick people. Thank you again, Werner, keep up the good works, your blog is a real treasure trove. What an interesting and revealing posting, thank you Werner. I wonder if your dogmatic and ignorant Cr. Ritchie Bates would read it – I doubt it, as the truth can hurt. I agree that water fluoridation is mass medication and forced on citizens without their consent. Are we still a democratic country? Thank you Werner for this very interesting posting, I read it with great interest, and I’m wondering why some people want to put this stuff in our drinking water? All the links are very interesting and wow, the video, “Professional Perspectives” - I played this over and over again and showed it to my friends and neighbours. All this convinced us that this poison should not be in our drinking water. Keep up your wonderful work in debunking the untruth about water fluoridation. Thanks Werner for this edifying posting. I totally agree with the previous comments totally. One really has to wonder whose vested interest it is to mass medicate us against our will and, like you wrote, because of a few stupid people what don’t practice dental care and drink coca cola and other unhealthy drinks That fluoride is binding the magnesium and Iodine was news to me and worrying for people who still have this accumulative poison in their drinking water. Werner, I just showed my two elderly neighbours who haven’t got a computer, your very interesting posting. They were absolutely amazed what they read and appalled that this stuff can be forced on people without informed consent. These two couples have now become ardent anti fluoride activists and looking for a filter to take this poison out of their water. But people shouldn’t have to go to this expense. They wondered if we are still in a democratic country. With such a wealth of clear evidence that water fluoridation is both harmful and ineffective, it beggars belief that Australian 'health authorities' are still pushing this outdated scam, and that our federal and state governments, and many local councils, continue to be so gullible. Or is it another case of 'follow the money'? Just imagine what councils could could do each year with the money saved by not adding this toxin to our water. After talking to 4 dental students about water fluoridation, it became manifestly obvious to me that all they learn at the university is that fluoride prevents tooth decay, but also admitted that young people don’t drink water. They were utterly surprised when I told them about the adverse impact it has on human health. 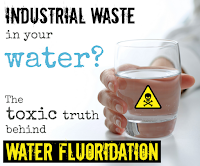 What they also didn’t know was that the fluoride that is put into our water is toxic industrial waste from the Chinese fertiliser and aluminium industries. The moral of this story is: Dentists should desist from pushing water fluoridation as they do not learn at the Uni what this poison does to the human body. We should not be mass medicated against our will and informed consent. Period. Werner, I read with great interest that you are fighting against water fluoridation in Cairns – good on you! Cairns is wonderful city which I visited two years ago. I live in Colorado City and we have just stopped water fluoridation following a study concerning about the adverse impact on human health. You made very valid points in your introduction with which I totally agree, and I also agree with the comments. Many municipalities in the USA have now also “seen the light” and have also ceased water fluoridation. I wish that that Australia can follow the rest of the world and stop this insidious practice totally. Last Wednesday Mackay Council held a Fluoride Community Forum and debate between Merilyn Haines of Queenslanders for Safe Water, Air and Food, and Michael Foley, Dentist and chief fluoridation proponent in Queensland, if not Australia. Here's a link: https://www.youtube.com/watch?v=J312HO7NgWk. It's interesting that fluoridation proponents always refer to the many organizations that support fluoridation - but when you dig a bit you soon discover that this support is based purely on endorsements rather than on truthful science. I watched Merilyn Haines video and as usual was greatly impressed. Haven't bothered to watch Michael Foley, don't believe anything he says, so wont waste my time. It is hard to fathom that people can be so evil or are they just dumb. I would not want my dentist being my doctor. Yet a doctor could very well be able to treat for dental problems. What I am most concerned about is that there have been no research figures done on possible systemic damage, unbiased, independent that I know of. I am extremely chemically sensitive; so it would be more than probably that there would be many people also who suffer. Sassa, yes there would most certainly be other people as sensitive as you are to chemicals. In fact, I strongly suspect the number is growing, as people are being continually assaulted with an ever increasing number of chemicals and toxins in our air, water and food, as well as the chemical cocktails of dangerous pharmaceutical drugs, to the point where their bodies are no longer able to cope with the toxic burden. The best we can do is take responsibility for our own health by doing our own research, and if we need help beyond what we can do for ourselves with nutrition, healthy lifestyle and avoiding as many toxins as possible, looking for a health practitioner who will consider the whole picture, and not just prescribe drugs to try to counteract symptoms. Also I always think the most convincing arguments come from former proponents who have changed their minds after doing the research, and had the courage to admit this publicly - like the late Dr John Colquhoun who had been employed to promote fluoridation throughout NZ; Emeritus Prof Hardy Limeback, former Professor of Preventive Dentistry at Toronto University; and Dr Andrew Harms, former President of the Sth Australian branch of the Australian Dental Association. Look up their work to find the truth. I think there are thousands of people acutely affected by wf. I had visited Brisbane quite happily until 2008. Just before Blight officially fluoridated Brisbane, I was so ill with strange breathlessness that I couldn't walk up a flight of stairs. I had not had asthma attack before that since 1993 and 2000 when I visited Sydney. I was told not to drink Brisbane water because they were testing fluoride levels (overdosing) prior to official start date. Eventually I got some control over my lungs back in Cairns after spending a small fortune on bottled water. It was a very steep learning curve and as I dug, I became more and more appalled at this disgusting and criminal practice. I found that there was a fluorine based diet drug which had been banned because it caused pulmonary hypertension. That is a dangerous condition where the main artery taking oxygenated blood back to the heart becomes narrow, causing breathlessness and racing heart. Just my symptoms and a few years later that is what my diagnosis was. although drs refuse to believe it was caused by wf. Unfortunately, I was in Sydney when it began there in 1968, Melbourne in 1978 and Brisbane in 2008. so I got three major overdoses. I am very sensitive to all chemicals and have to be very vigilant not to inadvertantly ingest fluoride. We are travelling at the moment so carry Cairns water, filter jug and a map of Qld which shows the areas where water is fluoridated. Avoidance involves reading labels, looking at origin of drinks and food, avoiding reconstituted juices, teas. It is a right pain and my poor long suffering husband has become even more vigilant than I am. One glass of f water sets off major crisis six hours later. I cannot be the only one with this problem. I had a skin infection early this year which the dr prescribed cipro for. Cipro is a fluoroquinolone which commonly causes tendon rupture. the FDA in US has black box warnings all over it so it can only be used if patient would die without it. The only warning to me was not to take it with magnesium. I went back to the dr and asked for a different antibiotic only to be told that there was no other option and it was perfectly safe and effective (sound familiar?). I finished up clearing the infection with colloidal silver in me and on me, and drowning my skin in white vinegar and eventually baking soda. This is basically when I decided finally not to trust drs or dentists under any circumstance. I get so angry with the likes of dickhead Bates who claims anyone who objects to wf is an internet troll. His own argument is gleaned from the internet, filtered through JCU to give him some credibility. I would love to give him an overdose and see how he fares. Unfortunately the 'powers that be' and fluoride pushers don't care about people like Margaret - or deny fluoride could be the cause, without ever investigating whether it might be. Anyone who doubts fluoridation could cause adverse health effects should borrow or download Dr Bruce Spittle's book, "Fluoride Fatigue." It's available free online, and includes clear evidence of harm in case studies of affected people. Silky - our canine family member.